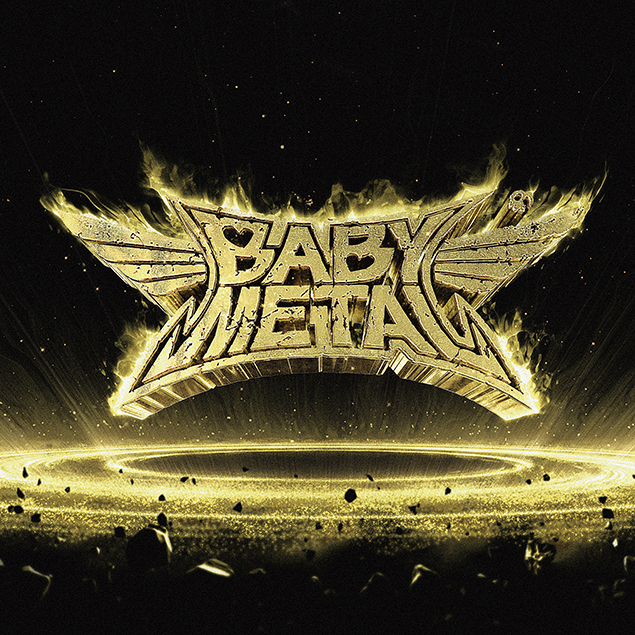 Babymetal Twitter exploded this morning with all of the major rock and metal press reporting the very well-coordinated release updates, including album art and a track list, for METAL RESISTANCE. And you can see what looks like additional album art in the banner. This is so metal, you guys. Additionally, “KARATE” will be released as a single (Kerrang! is calling it a free single) (and also lists deluxe versions!) next week, Feb. 25. I think we know what they’re going to be playing on Colbert (not a bad choice, but I of course have thoughts! [pending]). We know “Road of Resistance” already, though this may be an updated version from the Li/Totman DragonForce original, and most people who follow Babymetal closely know “Awadama Fever.” What are less well-known but nonetheless track-down-able online are “YAVA!” (fan-known as “Chigau,” first played at Makuhari Messe last summer), “KARATE” (from Yokohama) and “THE ONE” (also from Yokohama). But what’s known well only to OG Babymetal fans, especially in the West, is the superlative “No Rain, No Rainbow,” one of those epic Su-los that just about turn you into a sobbing, blubbery mess. It’s only been performed twice, at Legend 99 and Black Night, and a lot of people had basically given up hope that it’d get a studio release, not least because the group is probably expanding beyond Su-los for the most part. It’s coming, though, and Su-metal singing it at 18 compared to singing it at 14 and 15 is going to be something to hear. If I had to guess which of the remaining tracks were Su-los and which were going to be BLACK BABYMETAL, presuming that the subunit will continue (please give us this, Kitsune-sama), I’d give “Amore” to Su-metal and “Meta Taro” and “GJ!” to Yuimetal and Moametal. This is going to be so great, you guys. I’m officially like 30 kinds of excited about all of this. UPDATE: It also looks like they’re releasing Blu-Rays of their Red Mass / Black Mass shows from the fan events in Japan last spring. I don’t think there’s anything new, but collectors will be happy!